The newly designed Sentinel chainmail rope protector is highly durable and cut resistant. 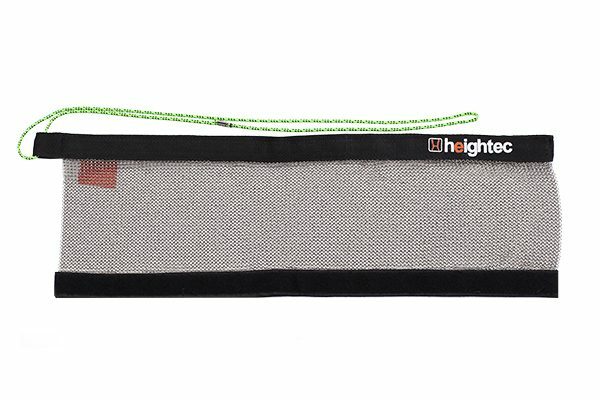 Unlike canvas rope protectors which can easily be damaged when working over sharp edges, the Sentinel will not tear, rip or shear ensuring the integrity of the ropes is not compromised. In tests against a guillotined steel edge the Sentinel withstood over 200 passes. In the same test, canvas was cut through after 2 passes. The wrap around style protector has a Velcro closure which secures the ropes inside, allowing it to be fitted at any point. The see-through chainmail allows visual checks to be carried out if needed. Although designed for mid rope protection in the rope access industry, the chainmail rope protector can be used in any similar situation. An outer cover is available, if needed to protect any paintwork or vulnerable surfaces. This protector is now available with Patent pending.